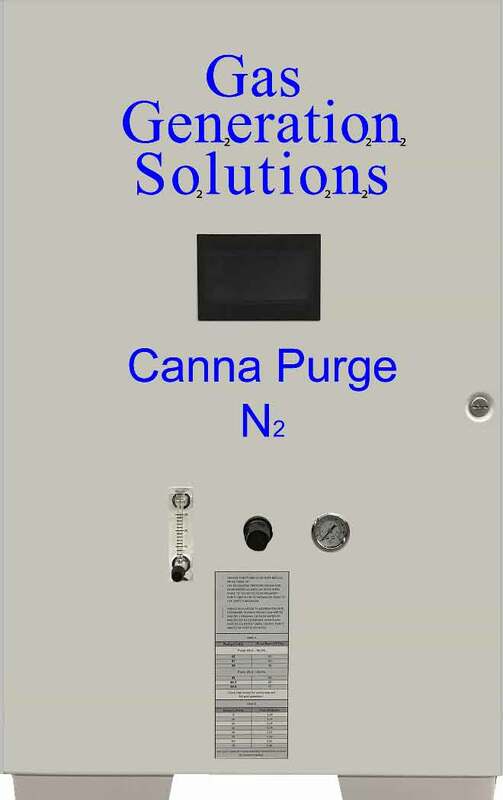 New Nitrogen Gas Generator For Marijuana / Cannabis Purging, Packaging, and Processing. We have designed a new standalone generator specifically for the Cannabis Industry. This unit is turn key and runs on 110 volts. It has a built-in air compressor and an extra 30-gallon nitrogen tank designed for purging vacuum ovens. You can use it on Rotary Evaporators, Reactors, Vacuum Ovens, Packaging, and Product Storage. The unit comes with two sections of 10 feet of hose. 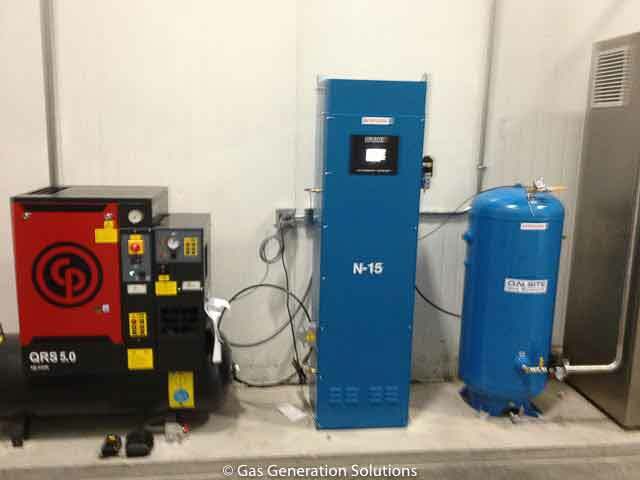 This lets you mount the generator in one room on the wall and put the nitrogen buffer tank in another room. This way all the electronics and internal compressor are away from your process. Eliminate nitrogen deliveries to your lab, generate your nitrogen on demand for pennies. 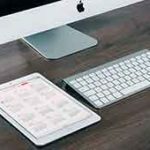 To download the PDF literature and specifications on this product please click here. If you have any questions or need a quote, please contact us using the links below. Research and development have proven that nitrogen flushed marijuana packaging is not only good for the freshness of foods and coffee—nitrogen packaging marijuana actually preserves THC (Tetrahydroncannabinol), and CBD (Cannabidiol). In the absence of this process, marijuana that is exposed to oxygen and other gases in everyday environments, THC oxidizes into CBN cannabinoid, which lowers the value of the product as well as its potency. Nitrogen flushing is currently the only known methodology for keeping marijuana rich in THC and CBD by stopping the oxidization process, and that’s exactly why all the best-known clinics, laboratories, and dispensaries of marijuana use nitrogen generators to flush-package their product. Whether it is for medicinal use to ease pain and stimulate the appetite, or for recreational use such as what we currently see in Colorado and Washington, the loss of THC or CBD by exposure lowers its chemical efficacy. Nitrogen flush packaging marijuana is the only method any serious venture should consider when deciding to undertake all the hard work that goes into raising marijuana properly. If you’re are willing to spend tens of thousands of dollars for the best strains, give them the best environment in which to grow, and hire the best people to ensure the best care, it goes without saying that you don’t want all the time and money spent on this process to be ruined in that final moment of truth, right before packing your product. Nitrogen generators for marijuana packaging are not just a good idea—they are essential to the entire industry and the quality of the products you’re bringing to market. 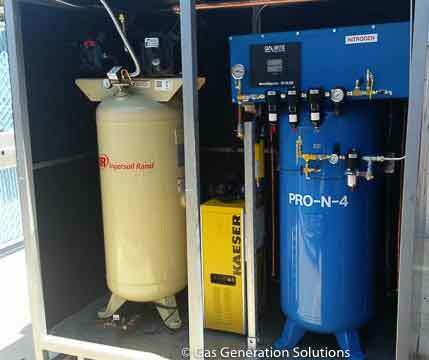 We offer nitrogen generators for packaging, vacuum oven purging, laboratory instruments, and many more applications. 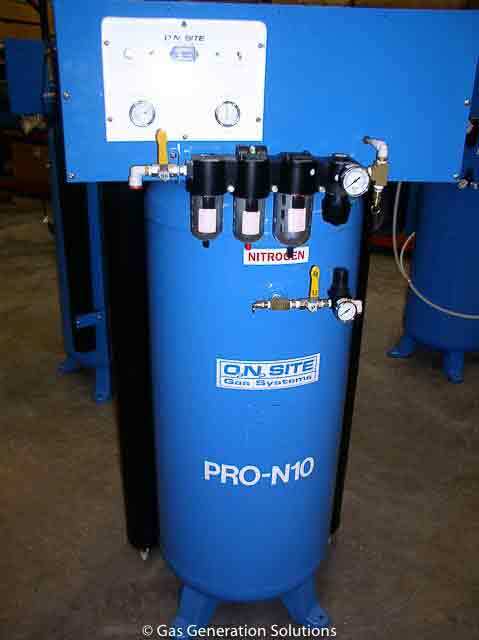 Give us a call or click the contact button to learn more about generating your own nitrogen on site. No more deliveries, high costs of gas, and the hassle of using cylinders. Turnkey system installed in a remote location for processing cannabis.